It’s Canonial Landscape, an easy-to-use systems management and monitoring service. 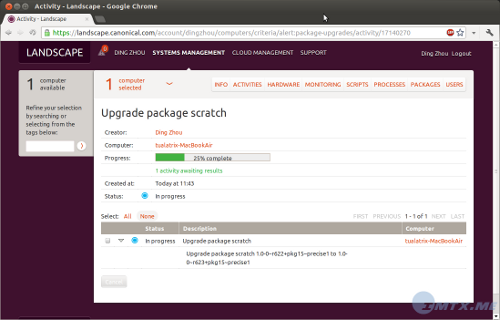 Manage multiple Ubuntu machines as easily as one and lower your management and administration costs. When you first time clicking on it, a window pops up prompts installing Landscape client. Just click Install and enter your user password. After installation, make a free register at https://landscape.canonical.com/. 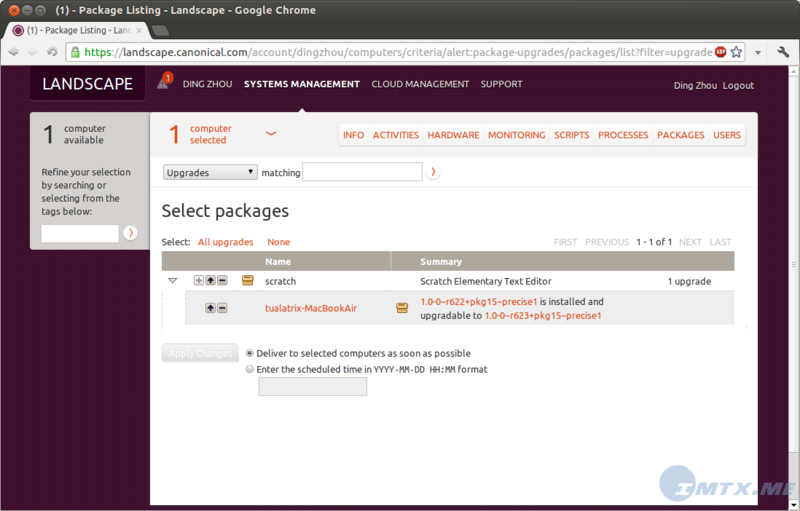 Then select Landscape server to monitor your current using Ubuntu. Now, open https://landscape.canonical.com/, and you will get an authentication message ‘1 pending computer needs authorization’. After that, you can manage this computer via web browser. Now, you just need one web browser to manage many Ubuntu machines. 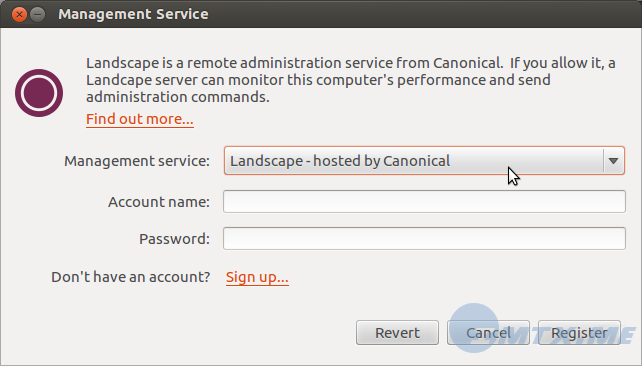 3 users responded in " Canonical’s Ubuntu System Management Service Landscape become default in Ubuntu 12.04 "
I thought Landscape was a closed, paid app. Does this mean there’s a free/gratis version as well? Oh, I just saw it’s a free ***TRIAL***. Don’t you think you should mention this in your post? Just more adware from Canonical to be removed on 12.04 arrival.